← Kirstenbosch : On the slopes of Table Mountain. 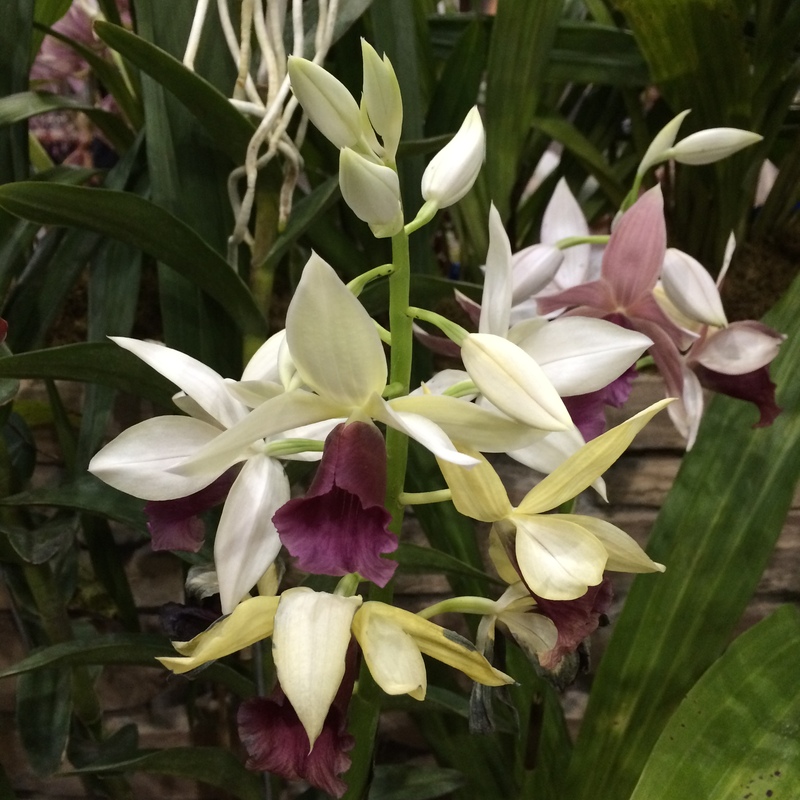 My recent stay in Johannesburg fortunately coincided with the World Orchid Conference and Show, sometimes called the Olympics of Orchids, at the Sandton Convention Centre. The Theme was “Gold in the Green Age”, reflecting the natural riches of southern Africa and the need to balance the exploitation of these riches with the preservation of the natural environment. South Africa has almost 500 wild orchids, many only growing in SA. In Gauteng,the home province, there are 54 recorded wild orchid species, mostly terrestrial grassland orchids much threatened now by urban development. I loved the Cape Orchid Society’s Stand which recreated a botanist’s study, complete with microscope and small reference library. There were representatives from the orchid societies across South Africa, including the local Witwatersrand Orchid Society, whose emblem is the spring-flowering Leopard orchid (Ansellia africana). There were participants from Denmark, Ecuador (who will host the next Conference in 2017), Indonesia, Taiwan and Australia (who were making a strong play to host the 2020 Conference) amongst others. 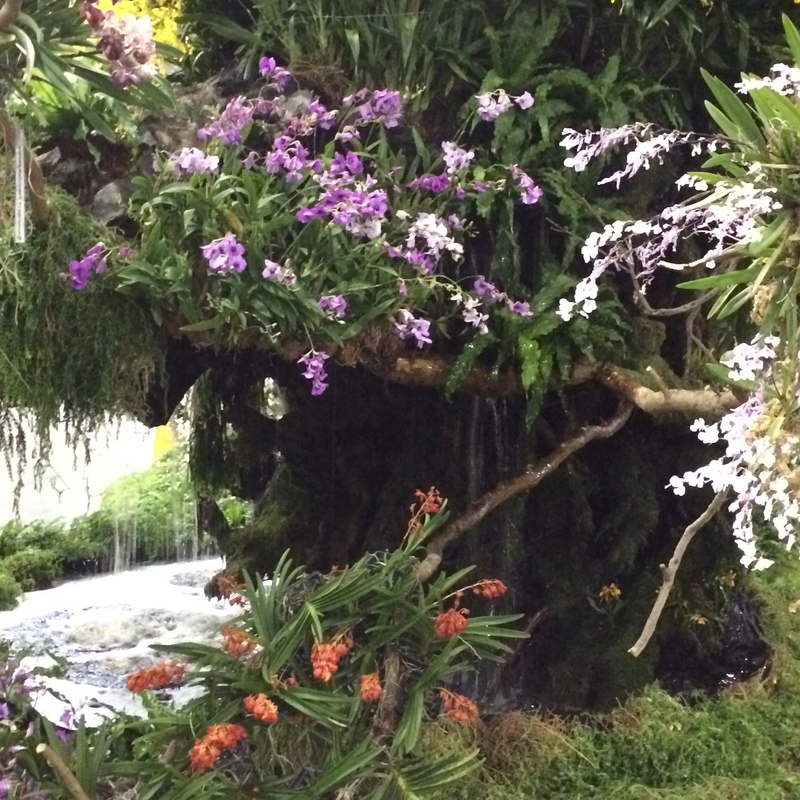 But the winning Stand was the Chaiwattana Orchids from Thailand, a beautifully displayed sanctuary of rock features and waterfalls. 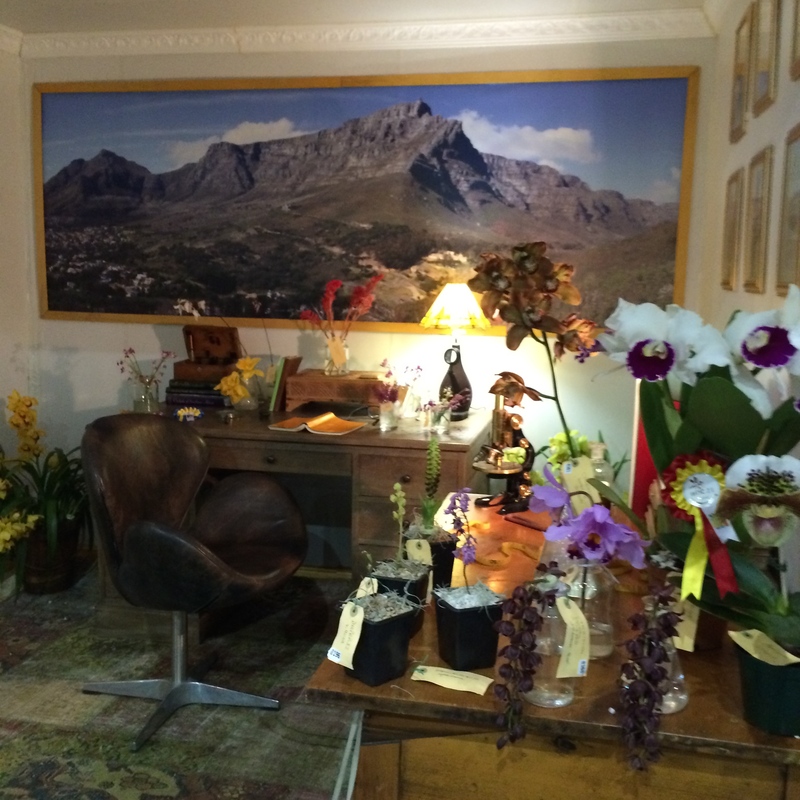 The winning Stand displaying orchids from Thailand. The first WOC and Show was proposed by American, Gordon Dillon, as a meeting between amateur and professional growers, conservationists and scientists, and was held in St Louis in 1954. The popularity has grown and I spent a wonderful day in the company of keen growers, amateur and professional, each with their own experience of perhaps battling the elements (Gauteng can have very cold winters) or seeking to expand their collections. 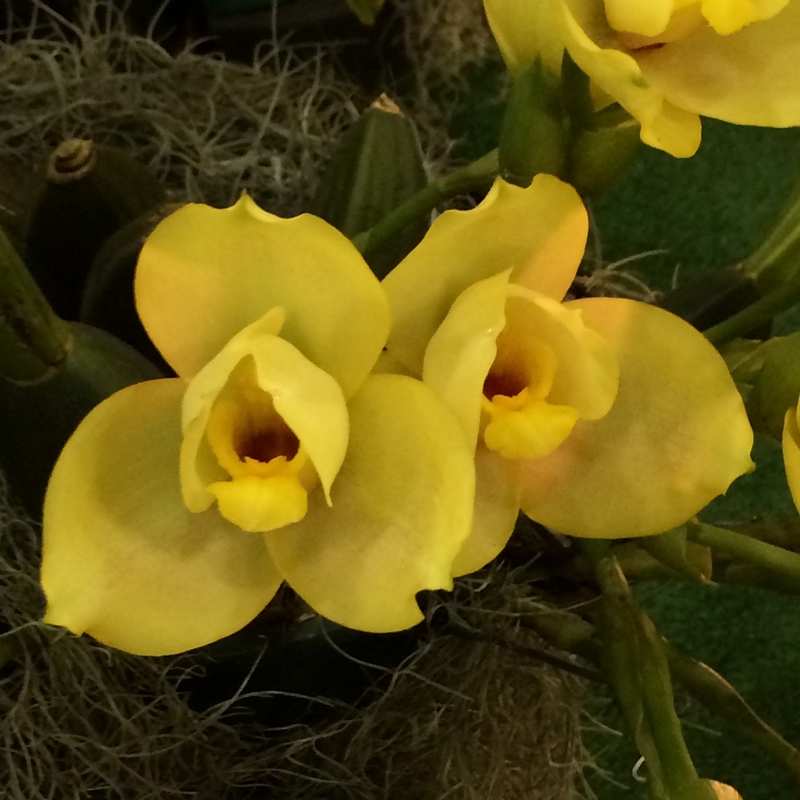 But there had to be a winning orchid, so here below is Best in Show, Angulocaste Olympus ‘Honey”. But they all looked very beautiful to me! 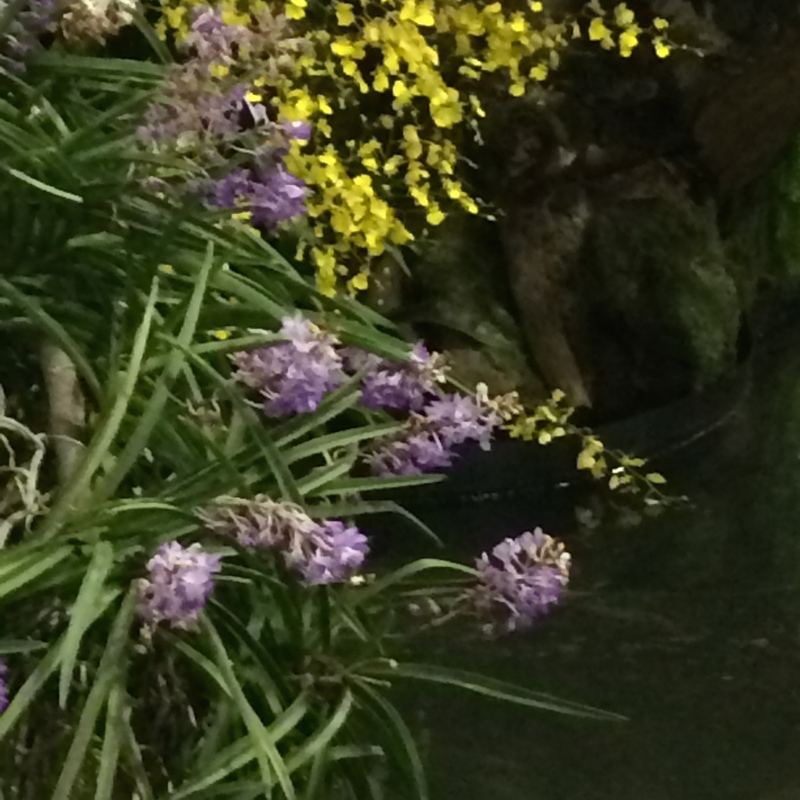 Ooo – you lucky, lucky person, those fantastic orchids. Everyone of them is nature working her magic. You look like you are having a very fruitful trip and great photos too! Thanks Agnes. In fact all photos here taken with my iPhone as my memory card was faulty, as I found out afterwards. The orchids though were truly wonderful. And yes, a memorable trip! Many thanks, they really are lovely plants with such a range of colours. Lucky you being able to see the World orchid conference 2014!! Thanks for sharing it with us. I really think orchids are beautiful. I would be hard pressed to choose a favorite. I hope it was a memorable trip. Thanks Honey, the orchids were very beautiful. Lots more to report from the trip in the coming weeks. A wonderful experience. I am looking forwar to reading those upcoming post. Wow, so many beautiful orchids, I am sure you enjoyed the conference. Many thanks – and yes I did! The orchids were (almost) overwhelming! Many thanks, though I’m kicking myself over the loss of the photos from my camera. The exhibition had wonderful cake & floral arrangements too. Luckily I had my phone with me & captured these. Quite right. I think it was a new variety they chose. How wonderful to see all this! Many thanks! Glad you enjoyed it. 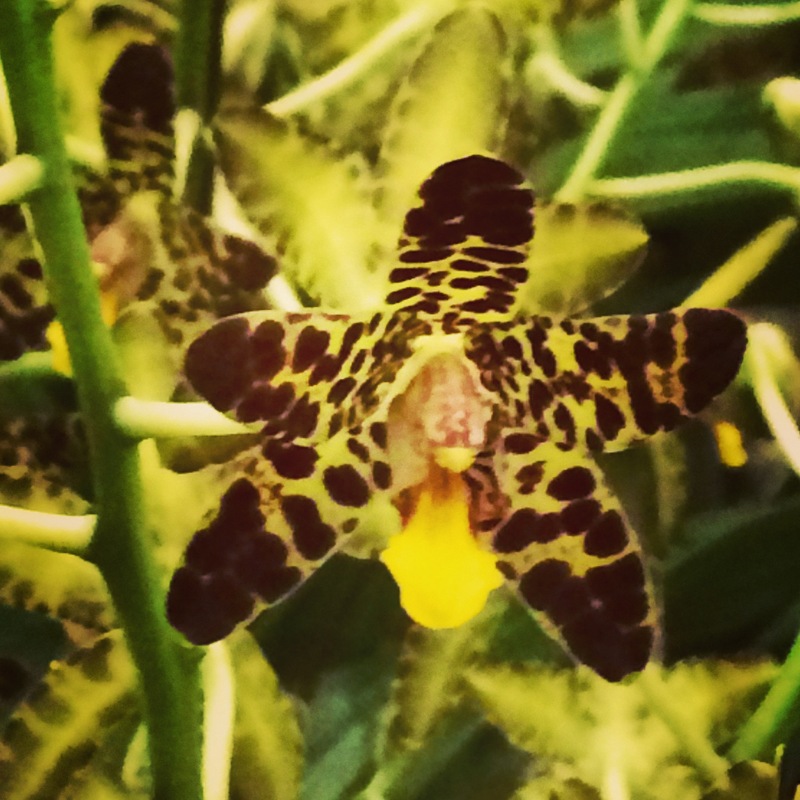 How lucky for us that you were able to visit the show and share the photos of these exotic blooms. The “Best in Show” was not actually my favourite, but I am sure it has qualities which I am totally ignorant of. But I loved the first photo. You must have had a fabulous time! Thanks so much Karen. I agree about the Best in Show, although the buttery yellow colour was quite striking. There were so many beautiful ones there. Many thanks indeed Aquileana and glad you liked it!